AllBrands Bonus Downloads: DIME Inspirations Thread Color Conversion Software, Creative Drawings Editing Software, Wilcom True Sizer Format Conversion Software, Designs in Machine Embroidery Magazine offer. 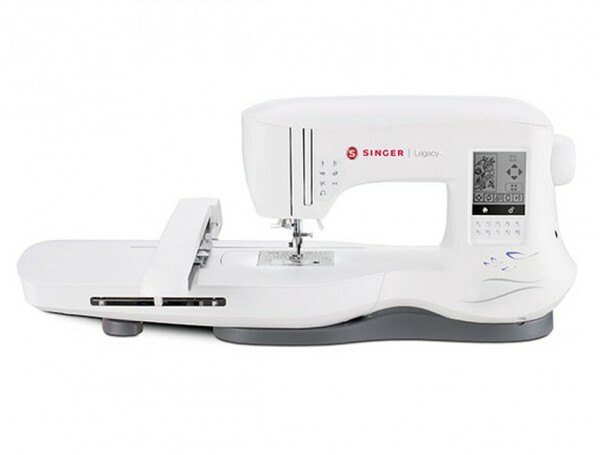 Introducing the all-new Singer Superb Embroidery machine featuring 200 built-in designs, extra large 6x10.25" embroidery area, and touch screen. We’re shaking things up just like we did over 160 years ago with a sleek, new design that’s inspired by our iconic machines. Introducing the new SINGER® SUPERB™ embroidery sewing machine. Built to handle whatever embroidery project you throw at it. Designed to power your passion. New SINGER Embroidery Machine Gives Embroiderers the Capacity to Personalize Every Aspect of Their Lives. 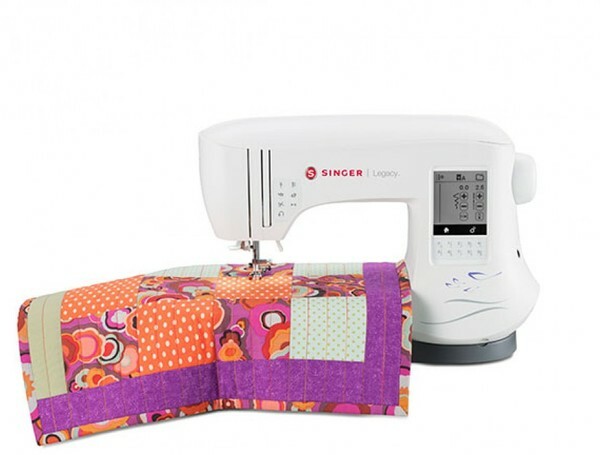 SINGER Legacy embroidery sewing machine features 200 embroidery designs, 700 stitches-per-minute, an expansive workspace & a new look! 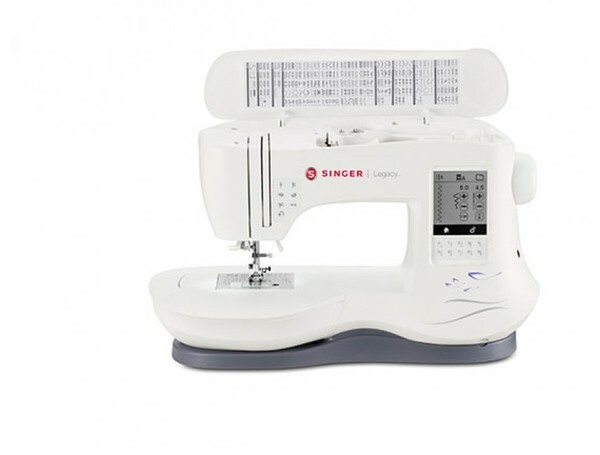 Singer Legacy SE300 Series Sewing Embroidery Macchine. 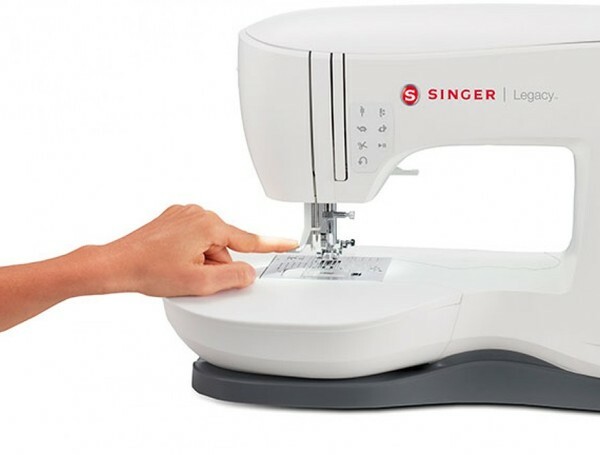 SINGER, a leading sewing machine brand for more than 160 years, has unveiled the SINGER® Legacy® embroidery sewing machine to introduce to sewers and creative enthusiasts to power their passion for personalization and creating one-of-a-kind items. With a sleek new look inspired by the brand's iconic vintage machines, the SINGER® SUPERB™ embroidery only machine features 200 embroidery designs, six alphabet options, 700 stitches-per-minute, and an extra-large embroidery area and workspace – allowing embroiderers to complete high-quality projects with ease. The machine also comes with free downloadable embroidery software to make creating unique designs, which reflect an individual's own style and identity, easy. "In recent years, the Do It Yourself (DIY) and Sew It Yourself (SIY) movements have exploded – increasing the value and appeal of handmade crafts, customized projects and personal creativity," said Ann Bragg, vice president of North American Mass Sales at SVP Worldwide, source of the PFAFF®, SINGER® and HUSQVARNA VIKING® sewing machine brands. "The SINGER® SUPERB™ embroidery only machines gives embroiderers the tools they need to personalize almost anything they want to make uniquely their own – from home furnishings, to kids clothing and crafts." With 200 embroidery designs and six alphabet options, creativity is limitless. Includes a 10 1/4 x 6 in-hoop embroidery area to accommodate large embroidery designs; a wider needle-to-tower workspace makes managing hoops and hands easier than ever before. Finish projects faster with 700 stitches-per-minute. 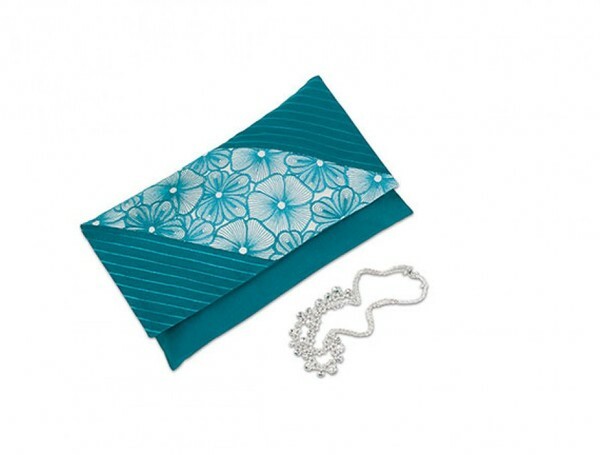 Download complimentary embroidery software to enhance your options and create customized designs. Automatically detect the amount of thread remaining so you don't run out without warning. 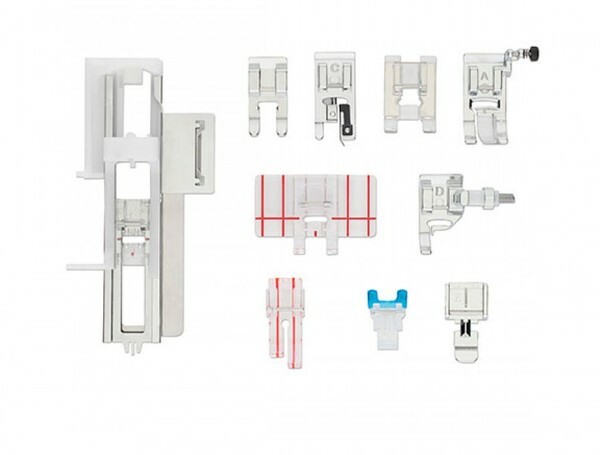 Automatic Needle Threader: Saves time! Store and save files for easy transfer to your machine. The large LCD touch screen allows you to easily adjust embroidery settings, and see your designs more clearly with three STAYBRIGHT™ LED lights. 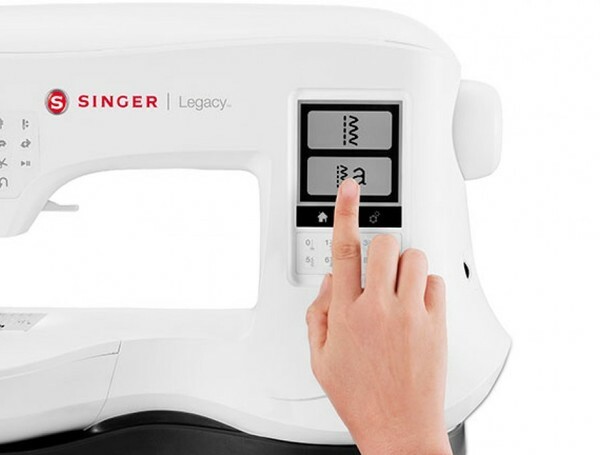 Introducing the new SINGER® SE00 Series Legacy™ embroidery sewing machine. We’re shaking things up just like we did over 160 years ago with a sleek, new design that’s inspired by our iconic machines. But we didn’t stop with a new look. This machine features 200 embroidery designs + six alphabet options, 700 stitches per minute, and an extra large embroidery area and workspace. 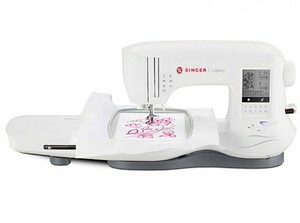 It’s built to handle whatever embroidery project you throw at it—it’s designed to power your passion. Large Embroidery Hoop (10 1/4 in X 6 in), Small Embroidery Hoop (4 in X 4 in), All-Purpose Foot, Satin Stitch Foot, Overcasting Foot, Blind Hem Foot, Zipper Foot, Buttonhole Foot with Underplate, Straight Stitch Foot, Button Sewing Foot, Open Toe Foot, Embroidery Foot, Parallel Sewing Foot, Quilting Bar, Thread Spool Net, Spool Pin Felt, Screwdriver, Needle Plate Screwdriver, Seam Ripper, Lint Brush, Thread Spool Caps, Auxiliary Spool Pin, Bobbins, Pack of Needles and USB Embroidery Stick. 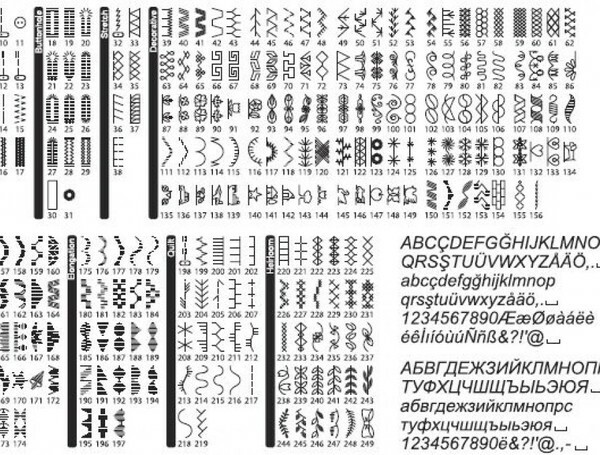 200 Embroidery Designs + 6 Alphabet Options Embroidery only machine with 200 designs plus 6 alphabet options expands your creative and monogramming possibilities. Extra-Large Embroidery Area. 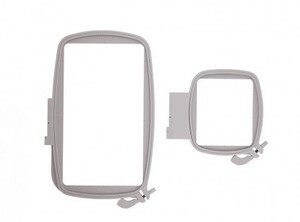 2 Snap-On Embroidery Hoops Included Includes both large embroidery hoop (10 1/4 in X 6 in) and small embroidery hoop (4 in X 4 in) for a broader range of design selections. 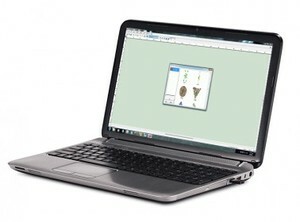 LCD Touch Screen Easily adjust embroidery settings with a large LCD touch screen.